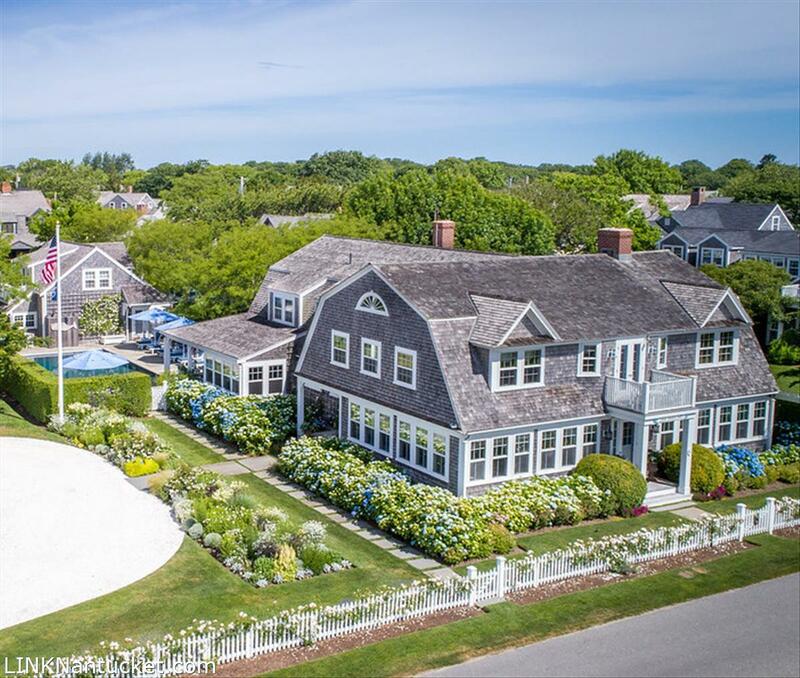 Located just a short distance from the center of Sconset's Main Street,“The Sheiling” is aptly named for this exquisite Ocean Avenue estate as it is a true shelter and oasis from all the hustle and bustle of everyday life. 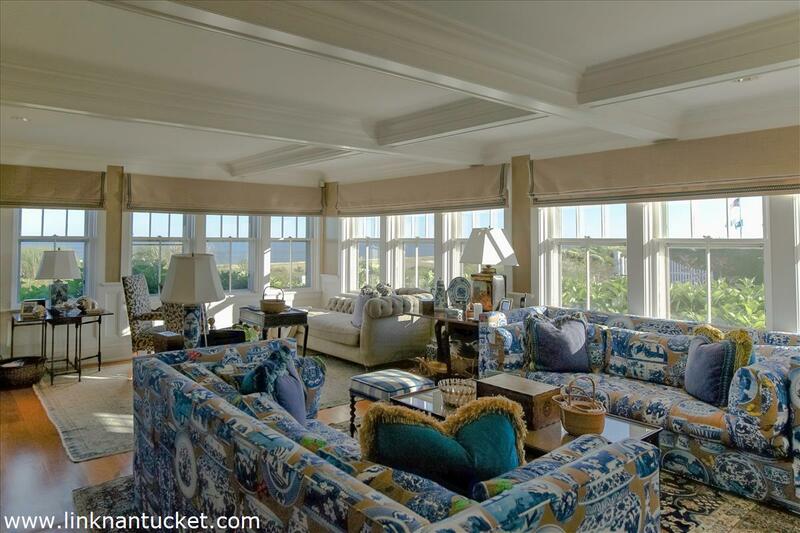 This elegant home with three full floors of living space and many custom details throughout offers expansive and panoramic ocean views from almost every room! The property is surrounded by mature landscaping with beautiful gardens. 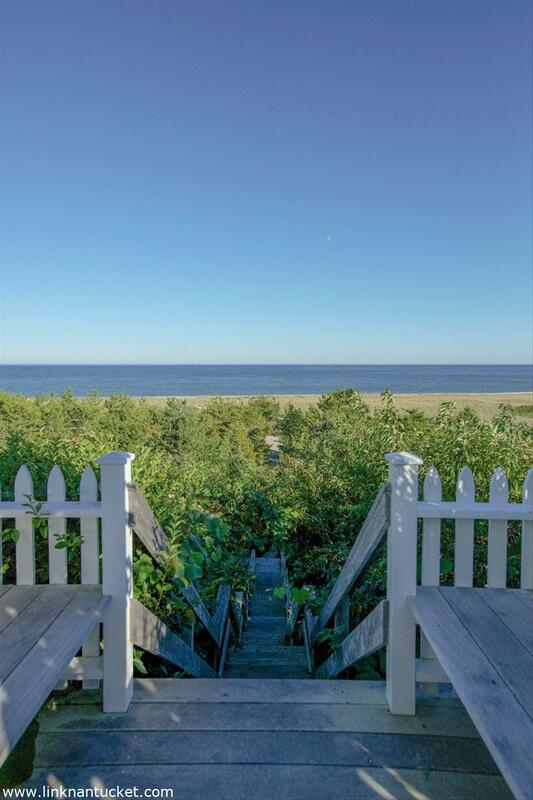 Also included are private beach stairs, a two car garage with a studio above, a “bunk house”, as well as a welcoming custom gunite pool for the warmer days of summer. There are several outdoor living spaces which include inviting covered porches which are perfect for an afternoon rest or morning coffee, as well as a privet hedged garden with a fire pit and water feature which is ideal for a cool summer evening. The interior and exterior of this lovely home offer wonderful entertaining spaces for small intimate dinners as well as large family gatherings. 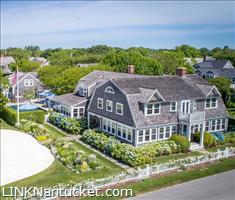 This is a great opportunity to purchase one of Nantucket's most coveted oceanfront properties! 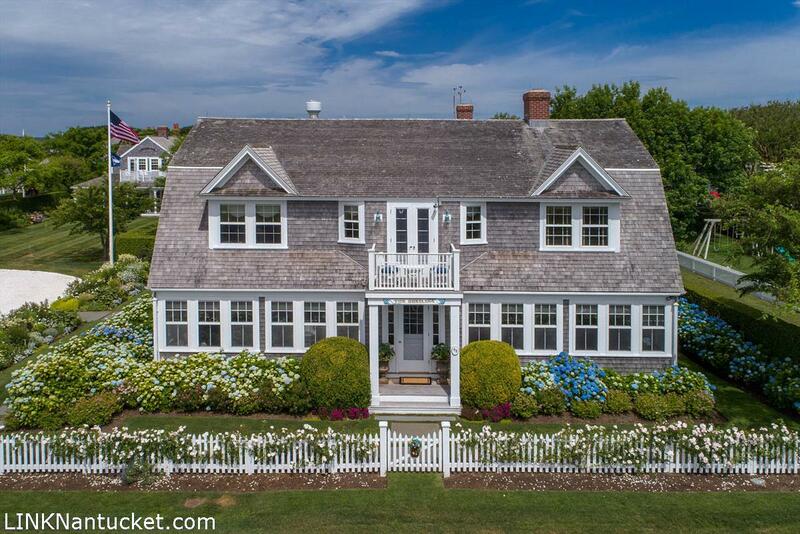 Please note 43 Ocean Avenue is listed for sale separately. 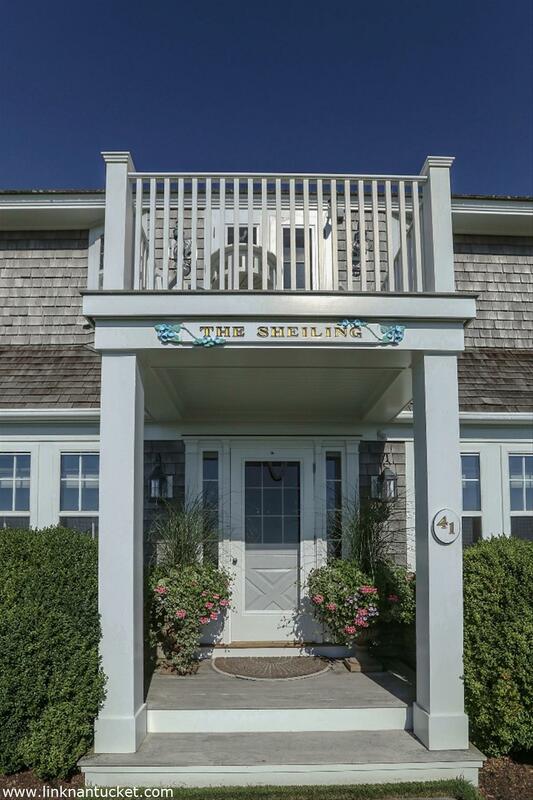 Front entrance opens into two front gracious living room/parlors with coffered ceilings and many windows that allow for breathtaking views of the ocean in every direction! 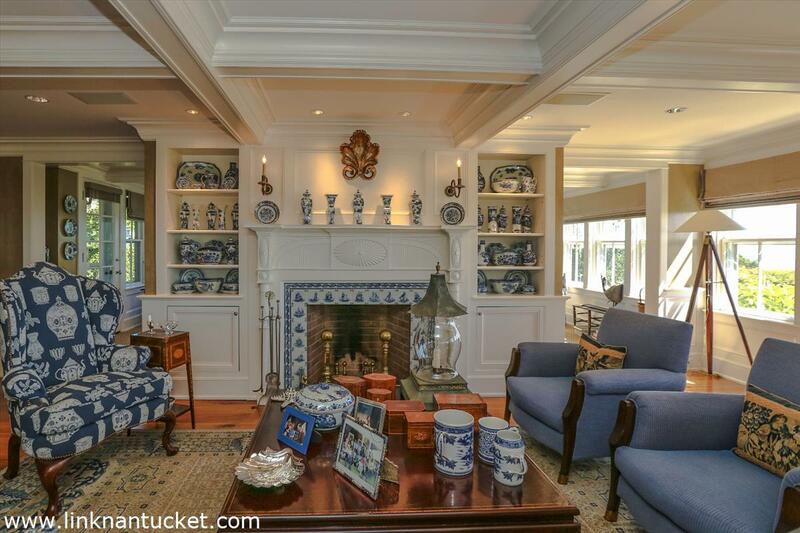 To the right this living space centers around a lovely fireplace with am antique mantel with tiles that depict tall ships, custom built-ins with shelves and cabinet storage below. To the left this sun- filled living room has built-ins, as well cabinet storage for a tv, shelves and storage below. To the far right is an office/sunroom with built-ins, shelves and access to the side porch. 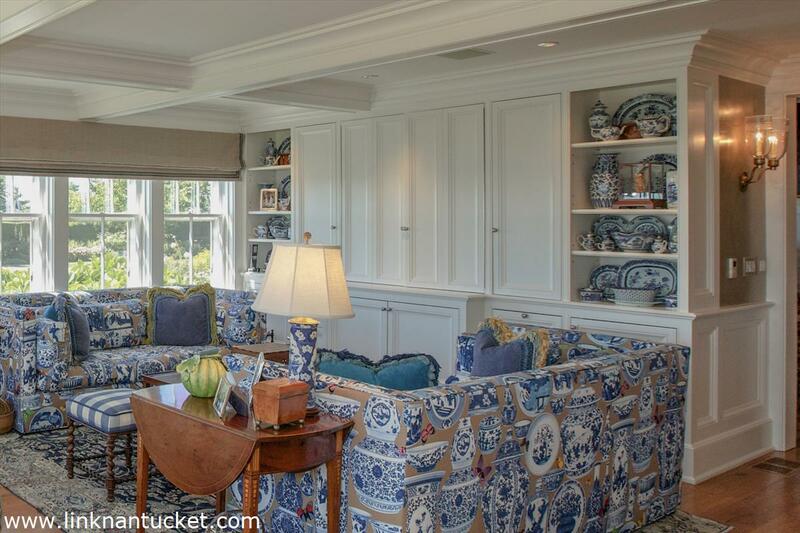 Most of these rooms have custom glazed walls and/or custom wall coverings. Spacious and inviting dining room with coffered ceiling, glazed walls and a gold leaf ceiling as well as a fireplace with custom tiles. 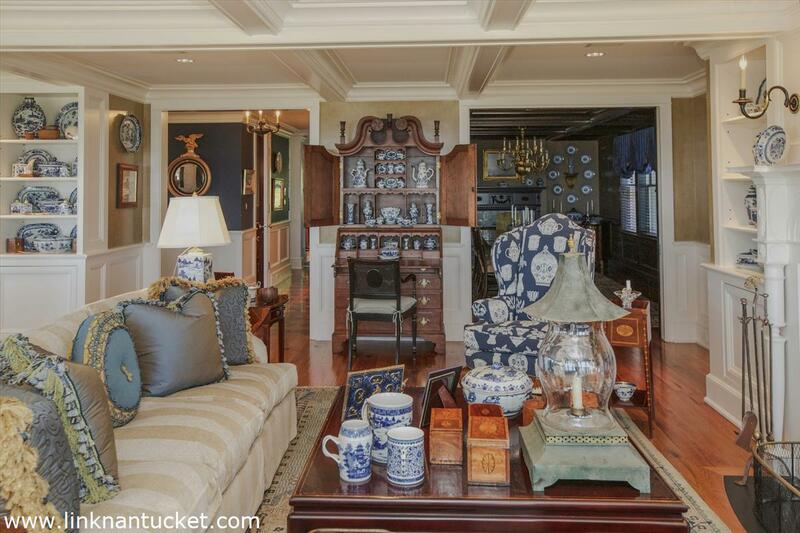 Two hall coat closets that are near the side door driveway entrance; custom stenciling on the foyer floor, stairs to the second floor with custom glazed walls, hall powder room with a beautiful nautical mural. Bar area with selves and a round copper sink. Large country kitchen with white marble counters, two Wolf convection ovens, 5 burner Wolf stove, GE microwave, Sub-Zero refrigerator, 2 Asko dishwashers, many cabinets for storage, built-in pantry closet and second sink that is located near the eat-in counter/pennisula. Large butler’s pantry with custom wall rack for plates, beautiful copper sink, dishwasher, ice maker, cabinets and shelves for extra storage. Exceptional, circa 1700 hand painted, built-in cabinet that was once in the Metropolitan Museum with several display shelves. Separate breakfast eating area with bead board walls and ceiling as well as views of the ocean. To the rear of the kitchen is a lovely sitting/tv room that faces toward the rear of the property with outdoor access to the yard. This room has built-in shelves, tv and cabinets. Powder room, door to the rear of the property, bench seating and closet storage. 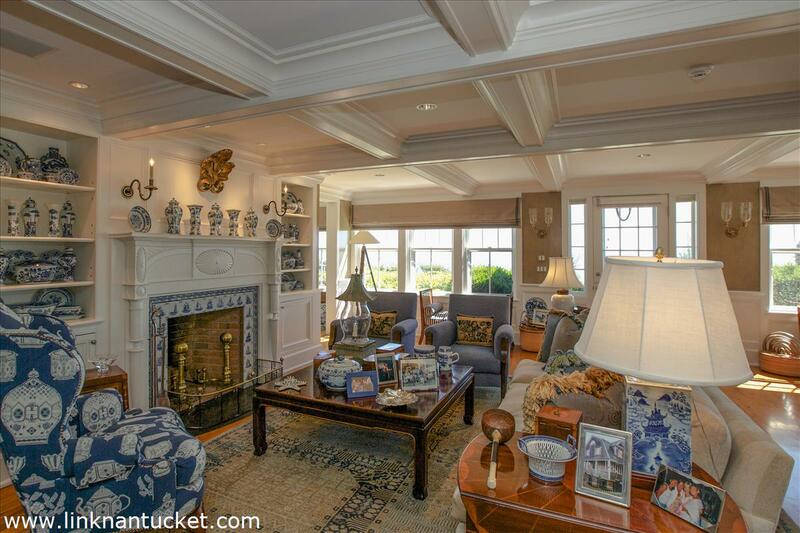 Spacious bedroom with beautiful wooden, ship-like built-in bunk beds, desk area and ship’s ladder to a loft space with Nantucket mural, ensuite bath with yacht sink and tiled tub/shower, heated towel rack and floor radiant heating. Second bedroom with oversized bunk beds, desk area and ensuite bath with tiled shower, separate sink heated towel rack and floor radiant heating. Hall laundry room with sink, MayTag 2000 washer/dryer and extra storage. Third bedroom with custom paneling, pop up tv and ensuite bath with tiled shower, separate tub, heated towel rack and floor radiant heating. Master bedroom with panoramic ocean views, French doors that open to a balcony, two built-in bench seats, custom cabinet with tv, separate sitting area, study/office with desk and built-in shelves, bar with mini refrigerator, and powder room. Large walk-in closet/dressing room with center island for folding and storage, ensuite bath with a slab marble shower, marble soaking tub, two closets and two separate marble vanities, heated towel rack and floor radiant heating. Lower Level: Billiards area with tv, guestroom with ensuite bath with tiled bath/shower, spacious sitting area with large tv, shelves and storage, bar, sink, refrigerator, dishwasher and microwave. Large wine cellar (approx. 1,000 bottles), separate card/poker room with pocket doors, large gym/work out room with tv; utility room and a large storage closet and outdoor access. Oversized two car garage with washer/dryer and plenty of room for storage, potting shed area with large copper sink with access to the beautiful gardens. Second floor spacious studio with ensuite bath with tub /shower, bead board paneling, sitting area, mini fridge, built-in storage and a balcony with views of the ocean and gardens. 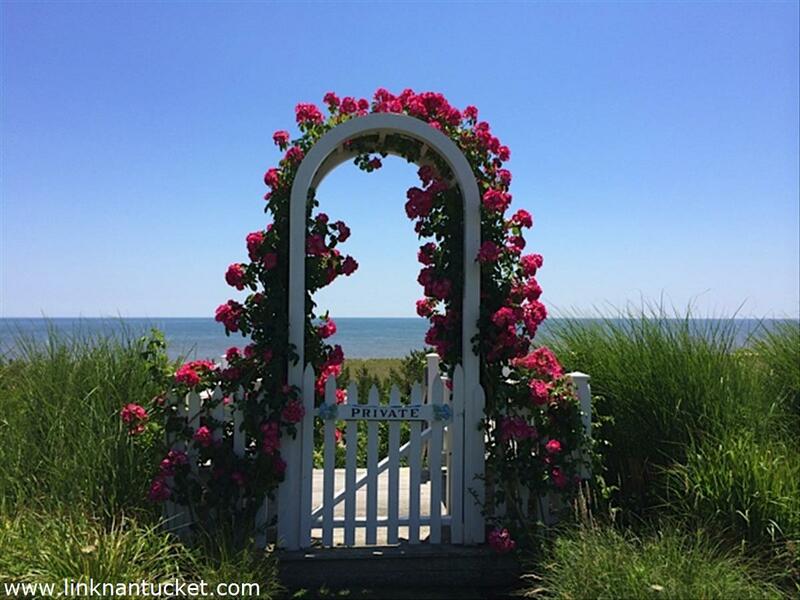 Rose Cottage: Small sleeping area with ensuite bath/shower (AC and Heat). Order of Conditions, List of exclusions upon request. 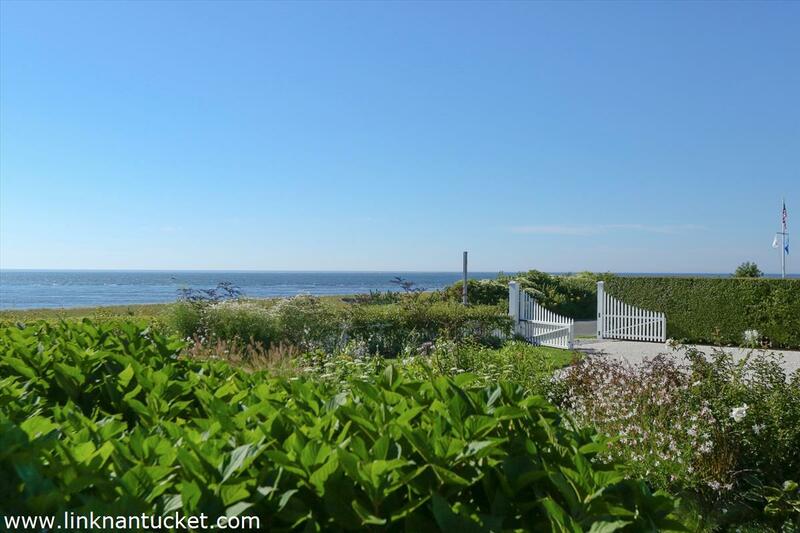 Lot size is approximate - this listing includes a portion of 40 Ocean Avenue as well. 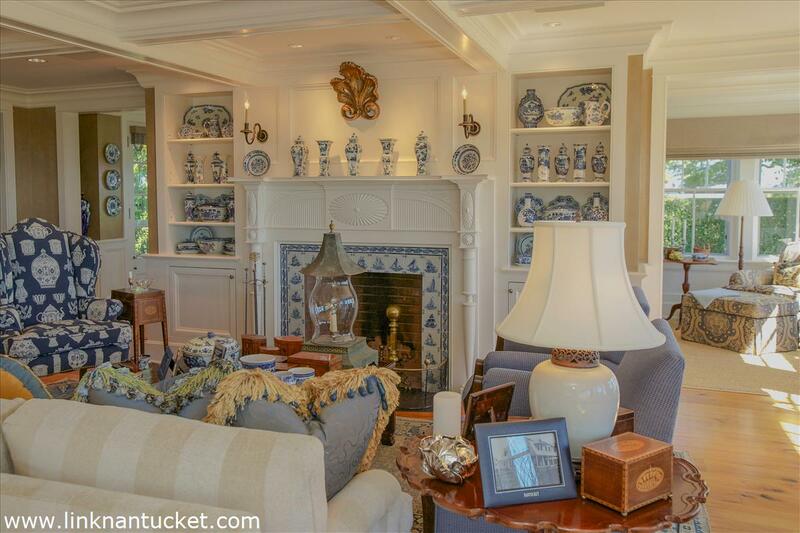 This exceptional custom home was built by Ron Winters and designed by Lyman Perry Architects. 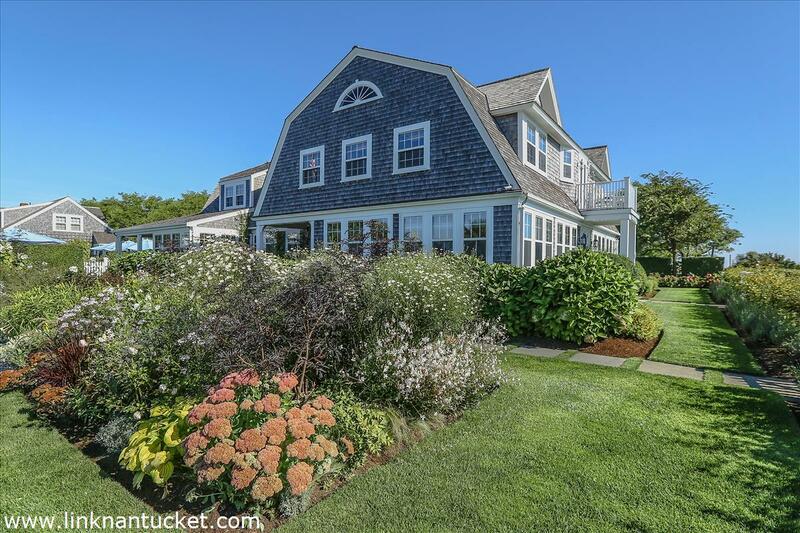 Main House: All Waterworks Fixtures, central vacuum system, sound system, custom paneling, UV protection and electric wooden blinds in the living room, family room breakfast area and kitchen, custom glazing throughout the first floor, as well as antique Butternut floors. Property also includes a hybrid geothermal heating & cooling system, irrigation, generator, security system with cameras and all full baths offer radiant heat in the floors and heated towel racks.